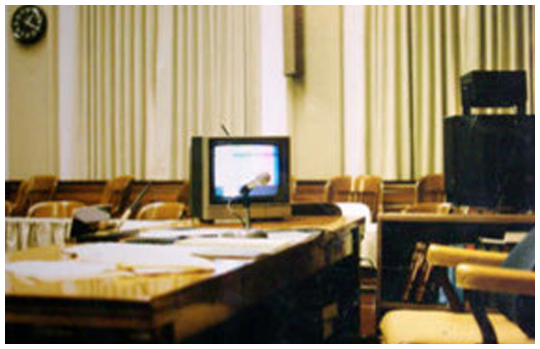 We have over 32 years of experience in Southern California courtrooms and extensive technical knowledge of trial presentation technology that drives our use of cutting edge practices and technologies. We utilize the latest trial presentation tools, including software such as TrialDirector, SanctionII and TrialPad for the iPad. 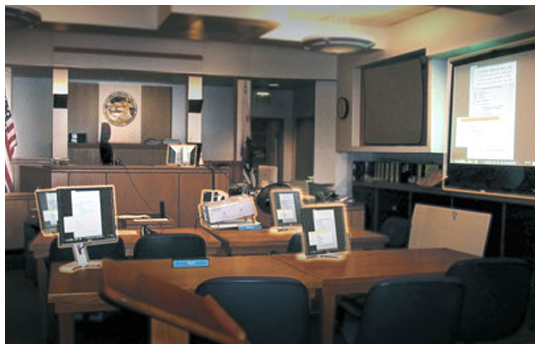 On the same note, our familiarity with courtrooms and “Hot Seat” experience have allowed us to specially design our courtroom presentation systems to be adaptable to any courtroom. We travel wherever our clients need us to be. We have familiarity working in and setting up trial presentations systems in virtually every courthouse in Los Angeles, Orange, Riverside and San Bernardino Counties. Relating back to our extensive experience in the courtroom, we are especially aware of problems associated with inaccurate or incomplete text-to-video synchronization. Video depositions synchronized by CVisualEvidence will provide you with the most reliable presentation in the courtroom. We can convert and synchronize video depositions to and from several formats, including MPEG-1, MPEG-2 & MP4 in resolutions from 352×240 through 1920×1080. We welcome large volume cases that require fast turnaround. We are specialists when working with translated depositions.